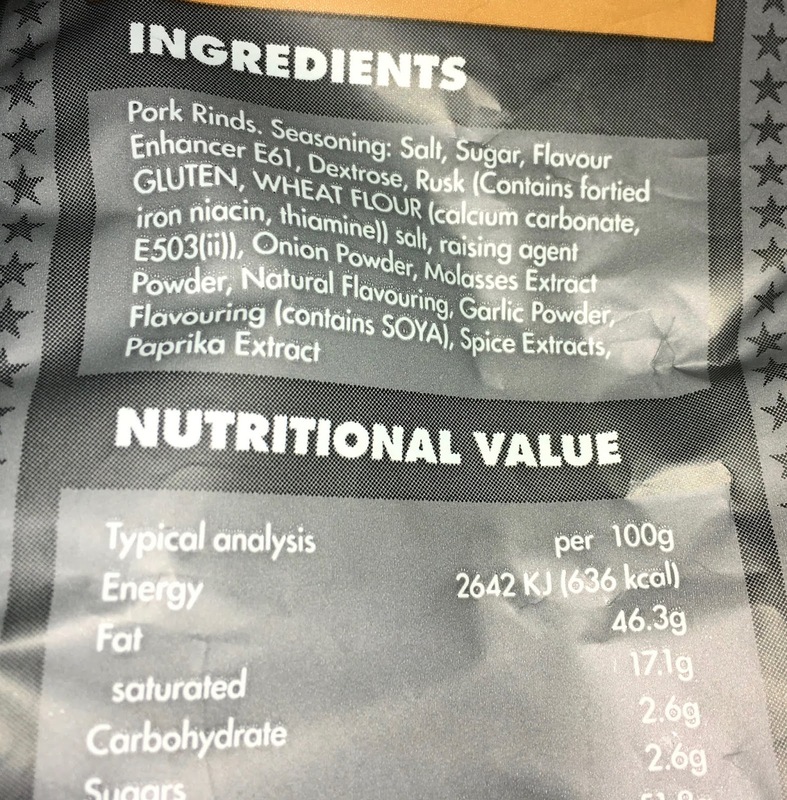 I have a particularly unhealthy obsession with pork scratchings, well, a colleague at work seemed to think so when I told her I like to have several packets after a good workout at the gym. She looked at me as if she doubted I'd make it through the next weekend! I do like to dunk them in apple sauce too, which I thought was healthier, but she didn't seem to think so… I can't see how I could convince her that pork rinds are healthier either. Although they are lighter and fluffier than pork scratchings, and made from lean cuts of meat that are double cooked. I also have a confession to make. I've had a few packets of these Marvellous Maple Piggin' Pork Rinds by The Snaffling Pig Co.. I have a bad habit of eating them before I manage to write a blog about them. 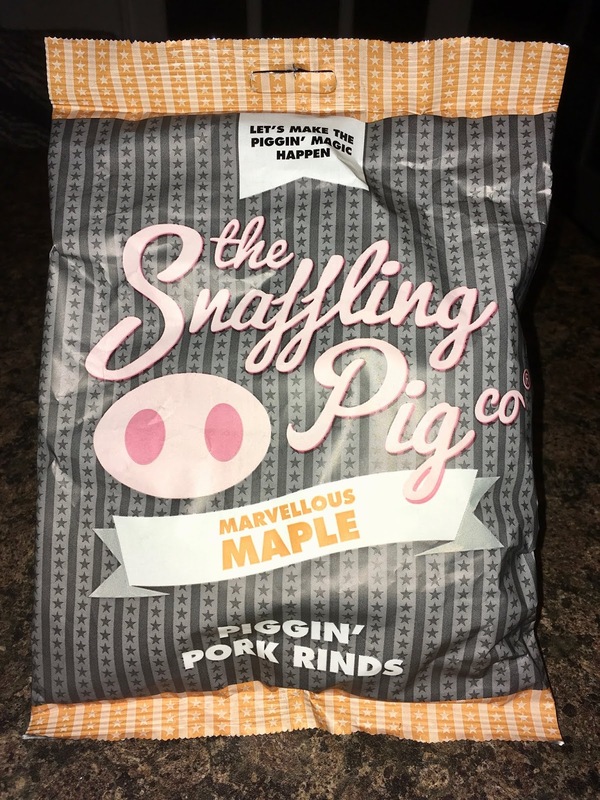 At the top of the packet it states; "Let's make the piggin' magic happen". It certainly does, because these pork rinds disappear very quickly! They smell pretty much like pork rinds on opening the packet, with a little sweetness from the maple. On first taste though the sweet maple covering explodes all over my tastebuds. With this maple sweetness follows the salty pork flavour as the pork rind first crunches and then melts in my mouth. It's almost impossible to stop eating them from first taste onwards. With the sweetness from the maple seasoning there is no need for dunking in apple sauce for these Marvellous Maple Piggin' Pork Rinds. Mmm… Piggin' marvellous! 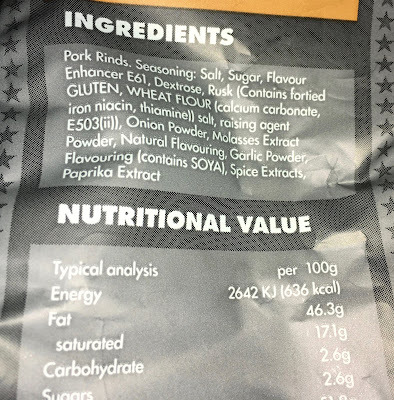 The 70g packet has 636 calories per 100g, with 46.3g of fat, 2.6g of sugar, and 2.75g of salt. Please see photograph for ingredients. Not for vegetarians! I love the big jars they do - they make fabulous gifts. i'd love to try their advent calendar too - oink!